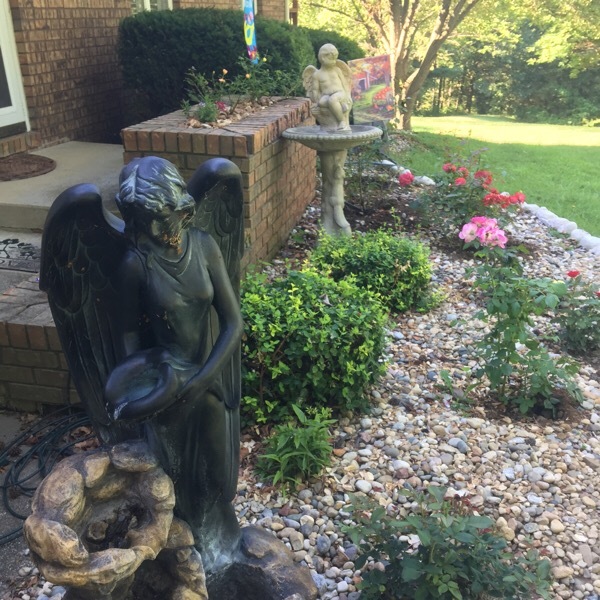 How did the angel rose garden come to be? It was Divine intervention. Driving home from church one evening in Dallas, Texas I heard Kathleen Battle sing “All Night, All Day Angel’s Watching Over Me” on 101.1 FM. Listen to this haunting lullaby. You will never forget it. The lyrics are so simple, now this lullaby is part of our evening bed time repertoire for the babies. How Many Roses Are Too Many? The answer to the question is: when you run out of space. 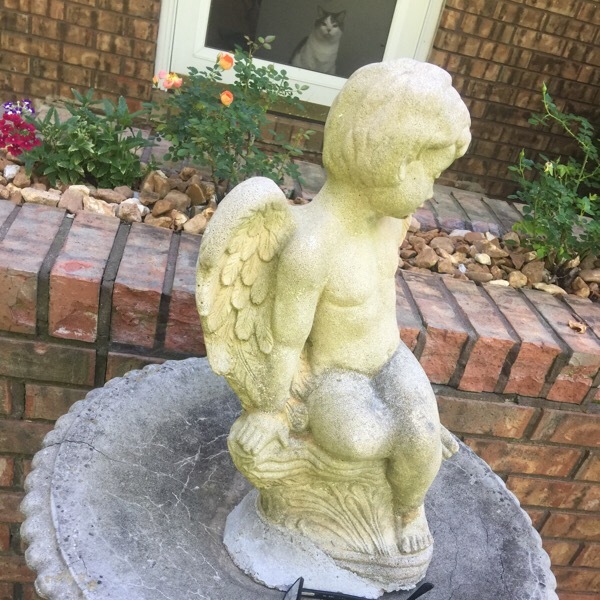 Have you noticed that most beautiful gardens are usually in back yards literally hidden from view? You work sometimes your entire life creating a stationary work of art and unless you have an “open house” only your eyes and the eyes of God will see those flowers that open once only to have the petals flutter to the ground in a season unseen. The logical expansion place for your garden is at your front door. We had over 225 roses in Texas. When we moved to Illinois I told ‘Big Daddy’ that perhaps we should have a rose garden that consisted of maybe 35 roses. Then I changed the inventory to no more than 100. 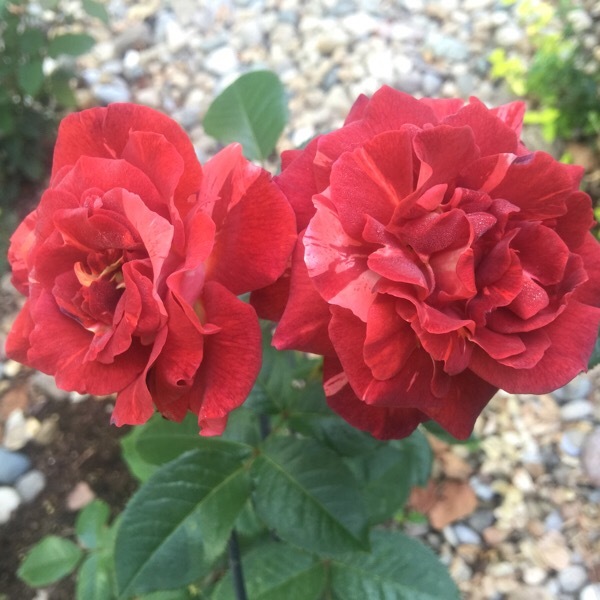 The plan was to put the gardens in in stages and show you that everyone can start over and have rose gardens established and blooming rapidly. 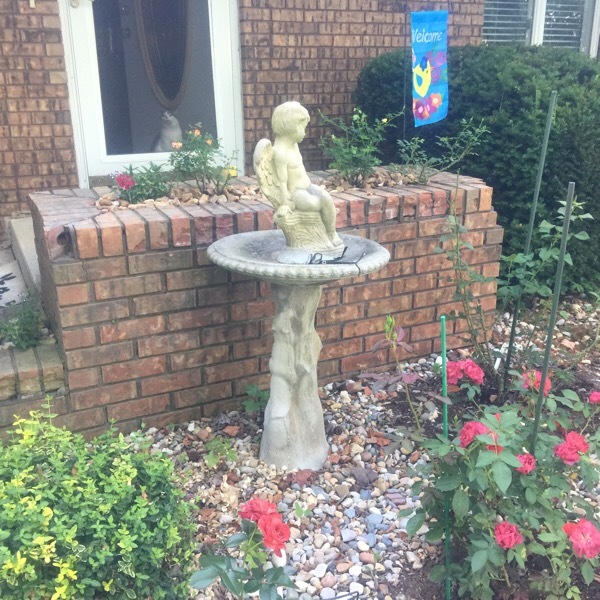 Thus emerged the angel water fountain and bird bath by the brick planter at the front door and the “Angel Rose Garden” because I believe a garden can be enhanced by titillating the 5 senses, sight, the sound of water or wind chimes, and fragrance. *When these bareroot roses arrived some are own-root roses, which I find to be more winter hardy. I soaked all of the roses in water that I add a Haven Brand tea bag, its a product a friend makes on her Haven Farm. Its an organic, all natural, organic, American made, soil conditioner called MooPoo Tea. Call, tweet or email Annie Twitter: @GreenSoil with any questions she will get right back to you ASAP. Love your web page! So glad to have met you and hope to stay in touch.